Kidrobot’s Matt Groening | 'TAIN'T THE MEAT… IT'S THE HUMANITY! 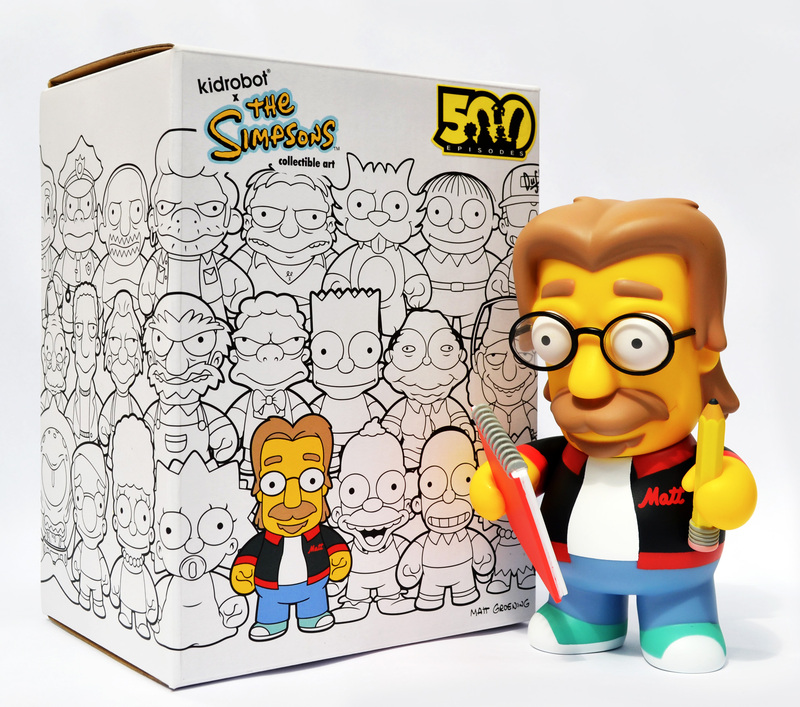 Released by Kidrobot to coincide with the 500th episode of The Simpsons this six-inch vinyl toy celebrates the show’s creator Matt Groening. 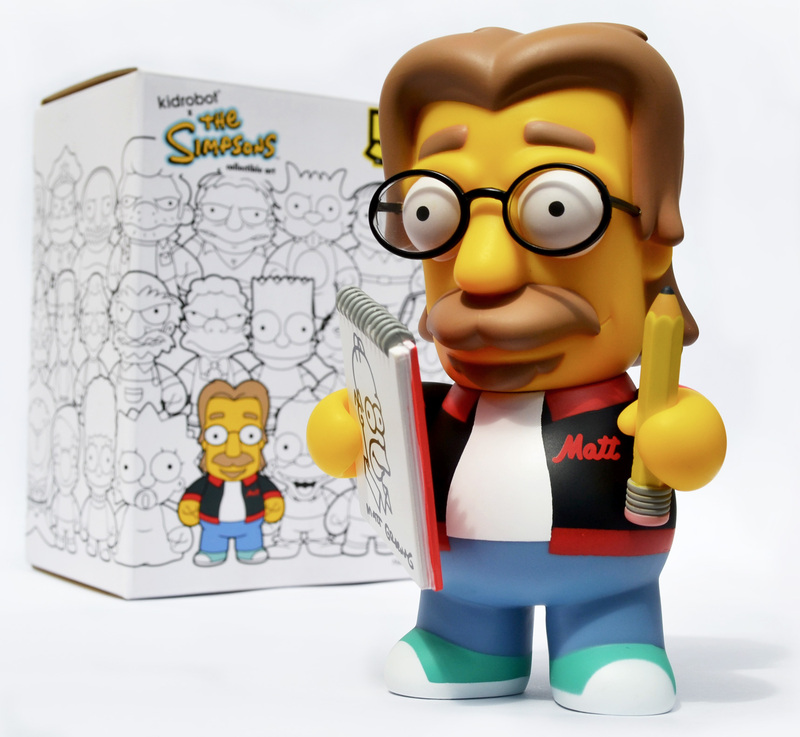 Kidrobot’s Matt Groening figure was released on 9th February 2012 two weeks before “At Long Last Leave”, the 500th episode of the perennially popular TV show aired in the US. Like all Kidrobot’s oversized vinyl figures this Matt Groening toy is well made and satisfyingly chunky – the moulding on his hair deserves to be singled out for special attention. The paint work on his baseball jacket is very well done, especially the ‘Matt’ insignia on his chest, and he sports a Simpsons logo on his back. His glasses contain transparent plastic (a nice touch) and there is articulation to his neck and arms. The toy comes with two accessories: a chunky pencil and a drawing pad with a cartoon of Homer, signed by Groening. 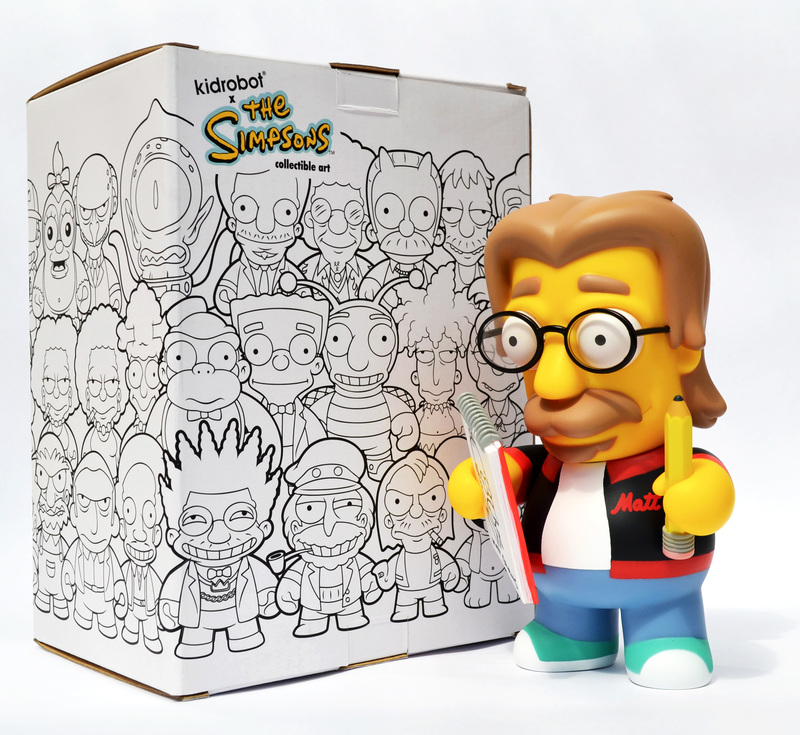 The Matt Groening toy is the first Kidrobot’s oversized figure not to be based on their three inch blind-box collections, making it a true one-off. The figure ships in a custom designed box that, although distinctive, is not as eye-catching as the other toys in this range (click here). 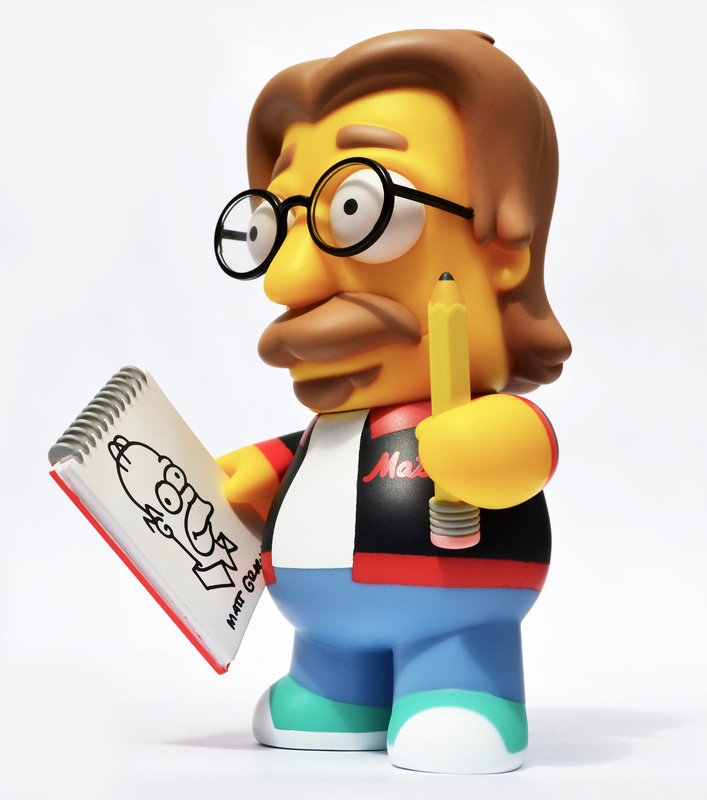 Despite being released over two years ago Kidrobot’s Matt Groening is still readily available online and from specialist stores for around £/$35. It’s a attractive figure and a worthy addition to Kidrobot’s oversized range of vinyl toys – I’ve taken a few photos so you can see for yourselves.